We don’t have to tell you, you already know. It’s tough to make a small business successful. But knowing all that, small businesses are started in the UK at a rate of 400 per day! So how do they start their business in the UK? And, more importantly, how can you do that? To create a small business, you’ll need a few important things. So first, let’s cover the basics. Every business needs an idea and the range and scope of your ideas are limited to your imagination. They can be as general—import/export—or specific—bacon-flavored vodka anyone?—as you’d like. Either way, you’ll need to have an idea of what service or product you want to offer before you begin your business, not after. Where can you find more info in general about your area of business? Gov.uk is probably gonna be your first and best bet, and then go to Companies House to register your business. They’ve actually made it very easy for you to find all the information in one location (gov.uk), so it’s a much smoother process now. Of course, you’ll also need to make sure you have a business plan at hand—and no, handwritten notes on a bar napkin doesn’t count. You’ll need to be more specific, set your goals and how you’re going to achieve them. If you don’t have this vision and measureable steps for your company, how will you know if you’ve succeeded? 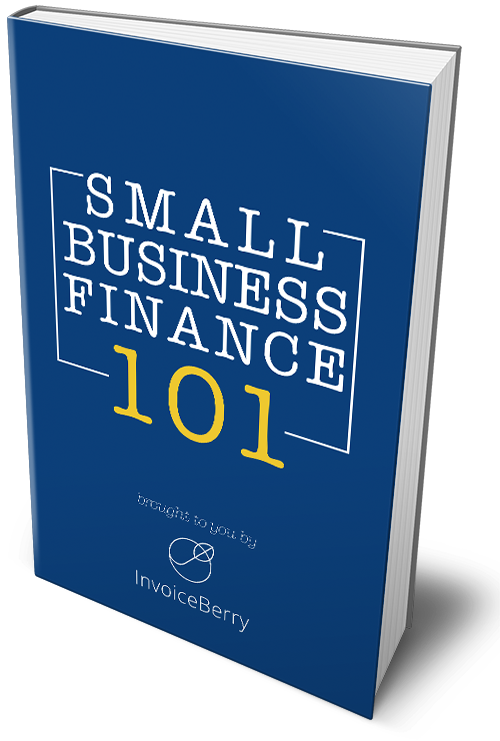 Check out InvoiceBerry’s business plan templates to get you started. Now that we’ve covered the basics, let’s get on to the juicy parts. So you’ve got your idea, you made your business plan, you’ve checked the websites. But now how do you actually start the business? We’ll take you through the steps to show you how easy it is to start your LTD in the UK by making our own small business selling woolen socks to kittens. We’ll call it Woolies for Kitties, LTD.
Now we’re ready to begin. The site lets you know that it’ll take about 24 hours and £15 to register and complete the entire process. The first step is, of course, to register if you don’t have an account already set up. So the first thing you need to do is to choose your company’s name. We’re going with Woolies for Kitties. And then you’ll have to choose an ending: options are Limited, LTD, LTD. or the Welsh versions. My Welsh is a bit rusty, so we’ll go with LTD. Statistics show that people trust companies with dots in their names. Now our company’s name has been decided, we need to make sure who’ll be the director. Yours truly will take the helm, but there’s an option to include more than one. Be sure to include your occupation and address (not shown). After that, you’ll have options to choose to add another director, or secretary, or even to make a company or firm as director or secretary. Although Google is my secretary in real life, I don’t think it’ll work on this occasion. Now we’ll get to the fun stuff: money! The next section is Capital, and this is where it can get a bit fuzzy. The site requires you to add share capital with a red asterisk over almost every box. currency: of course, this will be your GBP – Pound Sterling, as you’ll be doing your stuff in the UK. class of shares: here we can see that there are a few different options for the class of shares. Because Woolies for Kitties is for the everyday man and/or woman and/or cat, we’re going for the Ordinary shares. Most small businesses will choose this. If you’re fancy, you can read here about the other classes of shares. number of shares: this one is important. You can distinguish any number of shares for your company, but it’s common to only choose 1 share. This can be difficult later, when you have a partner, as the shares are ownership. If you want to give someone 25% ownership, you can’t divvy up that 1 share, so you’ll have to add shares to your company. It’s not a very difficult process (you’ll have to fill out this form to increase shares) but it’s best to prepare for it in advance. Most people do 100. We’re Woolies for Kitties, and we’re really cool, so we’ll do 1000 (it’s also easier to give people a decimal percentage). amount paid/unpaid on each share: this is where it gets tricky and fancy, but this question asks whether any amount was paid or is remaining unpaid for each share. Because we’re a simple people, we’ll do 0.01 for paid shares and 0 for unpaid. aggregate nominal value: this is the total value of all shares. Ours comes to £10, which is 0.01 per share * 1000 shares. Next we’ll have to fill in the subscriber section. The subscriber is the first shareholder. Seeing as my business partner disappeared under mysterious conditions after coincidentally transferring all funds to my bank account, I’ll be the first and sole shareholder. …and then authentication and confirmation. Because it’s an online registration, you’ll have to add some personal information about the subscriber for authentication as a substitute for the signature. I was a bit overzealous and entered 4 fields instead of 3, but it’s probably best to follow government directions. You’ll see a summary, and then it’s time to pay! Most people will probably pay the £15 fee with their credit/debit card or Paypal. Now that you’ve registered your company, it’s important to get your finances in order. We’ve talked before about the importance of separating your personal and professional finances, but it’s also key to get an accountant or use appropriate accounting software. There are many options for accountant services in the UK. Medium and larger business usually have in-house accountants, but it’s also a good idea to get some help from the outside, especially if your business is set to grow. Here’s one with relatively good rates, and there are many more. Here’s another great online UK accounting services. This one covers everything from monthly bookkeeping and management accounts review to VAT returns and digital tax changes. If you’re on the smaller end of the business spectrum, there are many apps and services available that can help you keep track of your expense. InvoiceBerry is great for creating and keeping track of all your invoices, and has many wonderful features to make it a painless process. The last thing to do is to make sure you’ve got your financial support through a good banking institution. Check out our blog on The Best UK Banks for Small Businesses to help you decide which banks to choose and what accounts to use. It’s already tough making it in the small business world, but at least the setup should be easy. If you follow these steps to establish your limited company in the UK, you’ll be done in no time. Have any comments or other suggestions for small businesses in the UK? Let us know in the comments below!